Anyone building or duplicating anything learned from this site does so at their own risk! Strange Technologies researches, duplicates and utilizes the energy of these old and newly suppressed technologies. Not only in the USA but other countries such as Russia, Germany have suppressed technology that could have been very beneficial to the human race in all countries. 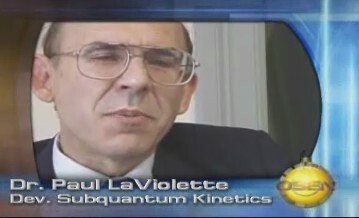 Paul Pantone the inventor of the GEET Reactor was wrongfully imprisoned and torchered for 31/2 years in Utah. Paul has recently been released in April of 2009!!!! Stanley Meyers another inventor of the watercar. he split water into hydrogen and oxygen through electrolsis and electronics and ran his VW Buggy on water. Unfortunately he was murdered by govt black suits who poisoned him. Quote- Electric companies, gas heating companies and oil companies would lose half or more of their profits with free energy available. Therefore, these companies then donate millions of dollars to governments (bribing them) to make sure that free energy devices stay out of the public market. Tactics and means of suppression include buying the patent of the free energy device from the inventor or his family, suing the inventor or patent holder and even murdering the inventor in some cases. Based on the principles of capitalism, free energy cannot be allowed. The traditional economic system contains three aspects: capital, goods and services. Within the aspects of capital are three subcomponents: currency, credit, and natural capital. Natural capital comprises raw material and energy. This differs considerably from the orthodox definition of capital in economics.Capital is theoretically a fully-controlled component of general economics. Currently, all components are fully monitored and managed. Quote-In the United States, any such acts in suppression of the technology are in violation of the U.S. Civil Rights Act, under which any U.S. citizen may prosecute felony criminal charges against the perpetrators (who are NOT exempt, and receive NO immunity by virtue of any position with the government). Moreover, any three such acts are subject to civil prosecution under the Racketeer Influenced & Corrupt Organizations ("RICO") Act, which permits the recovery of triple damages. If any affiliation is established, in deposition, between any such perpetrators and any oil, power, or auto company, severe sanctions - including, without limit, 'punitive damages' - are available against such an affiliate under the Sherman Anti-Trust Act. Activities which seek to maintain the oil monopoly on transportation fuels give material aid and comfort to the sworn enemies of the United States, in a time of war, and must, therefore, be considered Treasonous if assisted in or abetted by U.S. nationals. If adequate proof of any such suppression can be established, the Institute will prosecute to the fullest extent of the law, in jury trials, and before the world's assembled news media.-End quote. It is of special importance that these documented facts of past and present energy suppression are disclosed in detail to the public. This evidence of PRESENT and past free energy device suppression is aimed to show the security needed, plus premise for the publics own proposed granted research and development centre. The "how they went wrong" section is aimed to show iinventors exactly that, how they went wrong and how the concept of Panacea's proposed granted research and development center can ONLY advance education and protect inventors. Additionally to what is presented here, Panacea has organization to publicly disclose certain open source suppressed energy prototypes. These dislcosures will accompany essential evidence based facts of energy suppression to further help educate the public. To view our video production so far please consult the media script page. 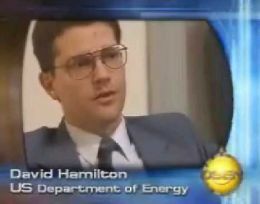 To this day educational institutions and the media have not shown enough interest into energy suppression, plus they are not aware of the complete detail. There is financial motifs for suppression attached to this technology, however it is not that easy for them to keep this from the public. This is a story that needs to be told to the public for our children’s future. This issue is related to child abuse. The complete details of the deaths of the inventors and the suppression of their devices is so vast and overwhelming that could take up to 3 times the content of this site. Before presenting our media script, for introductory purposes Panacea will present the following excerpt by the AERO organization. AERO is not essentially not for profit like the Panacea organization but has none the less played a role in publicly educating and disclosing various related social and political issues on this subject. Despite Steven M. Greer MD the Co- founder of AERO and the disclosure project already publicly disclosing suppressed energy facts to the world press club with evidence from over 450 witnesses, his success has been limited in momentum to say the least. 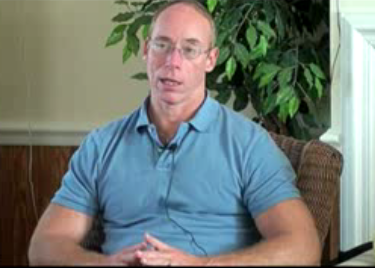 Steven Greer's disclosures were done as far back at 2001! Panacea will present a portion of these disclosures later in our media script. The following is a strategic overview taken from the AERO site.Witnesses and documented records are available to establish the following facts. These facts are made available from the disclosure project. Quote: Research shows that over the past 75 years a number of significant breakthroughs in energy generation and propulsion have occurred that have been systematically suppressed. Since the time of Tesla, T. Townsend Brown and others in the early and mid-twentieth century we have had the technological ability to replace fossil fuel, internal combustion and nuclear power generating systems with advanced non-polluting electromagnetic and electro-gravity systems. The open literature is replete with well-documented technologies that have surfaced, only to later be illegally seized or suppressed through systematic abuses of the national security state, large corporate and financial interests or other shadowy concerns. Technologically, the hurdles to achieve what is called over-unity energy generation by accessing the teeming energy in the space around us are not insurmountable. Numerous inventors have done so for decades. What has been insurmountable are the barriers created through the collusion of vast financial, industrial, oil and rogue governmental interests. In short, the strategic barriers to the widespread adoption of these new electromagnetic energy-generating systems far exceed the technological ones. The proof of this is that, after many decades of innovation and promising inventions, none have made it through the maze of regulatory, patenting, rogue national security, financial, scientific and media barriers that confront the inventor or small company. Acquisition of the technology by 'front' companies whose intent has been to 'shelve' the invention and prevent the device from coming to market. Denial of patents and intellectual property protection by systematic action by the US and other patent offices. Seizure or suppression of the technology by the illegal application of section 181 of the US Patent law or other illegal applications of national security provisions that result in the technology being classified or deemed "of significance to the national security". Note that these applications are illegal actions taken by rogue, unsupervised individuals and entities who are working in collusion with interests to suppress these technologies. Abuses by other regulatory or licensing entities, including but not limited to rogue elements within the Department of Defense, CIA, NSA, Federal Trade Commission, Department of Energy and others. Targeting the inventor or company with financial scams, illegal financial arrangements that lead to the demise of the company, and similar traps. Systematic interception of funds and essential financial support needed to develop and put into mass application such a fundamental new energy source. A pattern of harassment, bomb-threats, theft and other shadowy actions that frighten intimidate and demoralize those inventing, holding or developing such technologies; significant bodily harm and murder have also apparently occurred. Inducements through significant financial buy-outs, offers of positions of power and prestige and other benefits to the owner of such technologies to secure their cooperation in suppressing such technologies. Scientific establishment prejudice and rejection of the technology in light of unconventional electromagnetic effects thought to be not possible by current scientific conventional wisdom. Corruption of scientific entities and leaders through clandestine liaisons with rogue classified or shadowy private projects that intend to suppress such devices. Corruption of major media entities and key figures through clandestine liaisons with rogue classified or private shadowy projects that intend to suppress such devices. A small inventor or company can in no way overcome such obstacles. Therefore, a strategic plan and capability commensurate with these barriers must be devised and executed in order for these new technologies to succeed. Implications of success as the widespread adoption of these new, non-polluting energy and propulsion systems so that the use of oil, gas, coal, nuclear power and other earth damaging sources of energy are effectively replaced. It should be noted that such an undertaking will impact 4.5 trillion dollars a year in world economic activity, replace the current geo-political order with one based on decentralized abundance, and enable humanity to attain a long-term, environmentally sustainable civilization. It is safe to say that the advent of such new energy systems will be the greatest technological, industrial, geopolitical and Cultural Revolution in known human history. No aspect of life on Earth will be unaffected by it - and this is precisely why such technologies have been suppressed. The cartels and interests that prefer to see the status quo continue - even at the cost of environmental erosion, destabilizing world poverty and the like - are very substantial. The idea that an inventor or company can simply roll out such technological breakthroughs as a traditional development and succeed is preposterous. 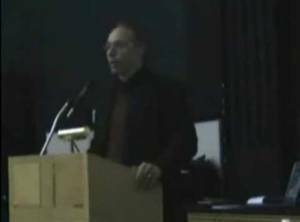 DR Greer further announces: The Disclosure Project has in cooperation with Space Energy Access Systems Inc., has discovered that over the past 75 years a number of important breakthroughs in energy efficiency, alternate forms of energy generation and propulsion have been deliberately withheld from the public to prop up the oil, gas, coal, public utility and nuclear power industries. These significant technological breakthroughs that have been suppressed range from modifications of the internal combustion engine to get significantly higher miles per gallon to new electromagnetic generating systems that extract energy from the so-called Quantum vacuum. Current intelligence gathered by The Disclosure Project and AERO indicates that a shadowy operation connected to covert government and intelligence programs but run primarily by US and foreign corporate interests have resulted in this suppression. Actions taken to effect secrecy and to neutralize the public availability of these technologies - which by now could have completely replaced the need for fossil fuels - include: Threats, intimidation and on occasion the murder of scientists and inventors originating these energy breakthroughs; Corporate acquisition of technologies with subsequent 'black shelving' - that is the deliberate suppression of the technology by owning the rights and then refusing to release the technology to the public; The illegal application of section 181 and related sections of the Patent Law to force inventors to keep the technology secret or face substantial fines and jail time; The bogus and illegal use of other so-called national security provisions to intimidate inventors and suppress technologies; Sabotage of inventor labs, prototypes and facilities in order to cause the loss of the technology or to intimidate inventors and colleagues. It is clear that human society will continue to be harmed by the deliberate and illegal withholding of such technologies and that a thoroughly documented and sourced Disclosure of the matter is urgently needed. The widening gap between poor and rich nations, the worsening situation in the Middle East and elsewhere, the relentless decay in the environment, global warming, intractable world poverty and many other pressing problems facing humanity are directly related to the suppression of these energy breakthroughs. We call on all concerned citizens to assist us in identifying and securing the cooperation of the following: Scientists and Inventors of high credentialed credibility who have been the target or victim of such suppression; Corporate Whistleblowers who have observed or been part of the acquisition or suppression of such technologies; Government, military and intelligence whistleblowers who have witnessed or been part of such actions. The following is a great background Video introduction by Dr Greer describing his experience and insights into energy suppression. Even to the present day Dr Greer continues to address the pubic and present evidence relating to these issues to the press. However their interest in this evidence continous to be zero!. 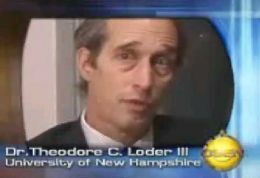 Since as far back as 2001 when the disclosure project first presented enough evidence to prove these cases, the focus from mainstream media for further public awareness was and still is near zero. Thus the decisive action and needed organization for a public lobby to address these issues has stagnated. Further mainstream media exposure for public awareness IS NEEDED TO BE APPLYED AND PUSHED FOR BY THE PUBLIC. Also Panacea aims to enforce our signed petitions which demand, as the evidence from the disclosure project proves, the FULL disclosure of the technology that the US government(other countires may be also) is with holding from the public. 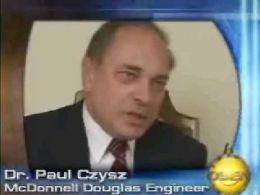 The disclosure project has since made video testimonials which have been specifically prepared to serve as testimonial EVIDENCE intended to stand up in court regarding cases ofenergy suppression. 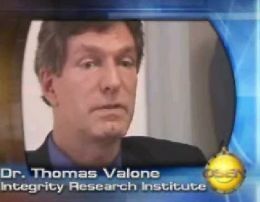 This testimony includes evidence from Tom Bearden; Thomas Vallone, Paul Czysz, Hal Puthoff, David Hamilton, Ted Loder, Paul LaViolette, several of whom hold PhDs, and all of whom are held in high esteem by their peers in the field of clean energy. This footage is as explained by Matthew Carson from the Open Source Energy Network, intended to serve as undisputable proof to support the case of suppression and to prompt legal action. Despite this evidence the mainstream media and government have shown no interest. The following article is by Sterling D. Allan, the Full article is available from the OSEN site. Quote- These professional videos were prepared by the Disclosure Project, headed by Dr. Steven Greer, and were underwritten with sizeable funds for high-quality production. They were prepared to serve as testimony that will stand up in court. They document the fact, both that there are viable new energy technologies which could rid us of our dependence on polluting fossil fuels, and that there have been active efforts in suppressing these. Explosively, these videos reveal names and tactics of this Luddite resistance against scientific progress. These videos are sure to become hot items among those who track developments in this field. Many have been frustrated by the lack of progress for so many years, knowing that we could have had some of these technologies over a century ago were it not for the oil and business cartel that actively snuffed it out. Their blockade against both scientific progress and information began with their snubbing of Nikola Tesla, one of the most brilliant inventors of all time. 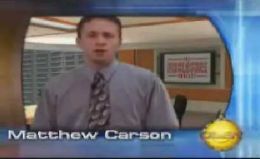 For many decades, he was barely mentioned -- if at all -- in our schools and history books. You would think that the man who brought us A.C. power, radio, and other wireless communication, would deserve prominent attention. But because he wanted to make energy available for free – wirelessly broadcast worldwide without metering or billing, accessed by a simple receiver device which did not need to be plugged into any socket or wired grid – he was de-funded, and publicly scorned. A device he developed to power a car using energy from the vacuum was likewise quashed, and nearly forgotten. As we approach Tesla's 150th birthday next year (July 10, 2006), the great inventor and theorist is finally beginning to emerge from this imposed limbo, with the Legend status that he always deserved. 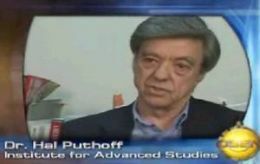 The work of Tesla is a common theme in these affidavit video interviews. Their combined witness provides a powerful impetus for us to put pressure on our elected officials and demand that they to support the development and penetration into the marketplace of clean energy devices and infrastructure – with the same vigor with which they approached the Manhattan project or the Apollo Project. 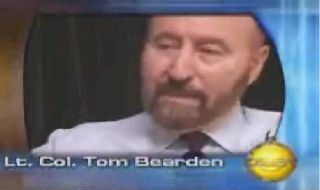 As a sampling from the seven videos, Lt. Col. Tom Bearden says that the scientific community must stop snubbing these technologies, and that their doing so has very little to do with science, and very much to do with the politics of science. Bearden warns that if we do not do something of this magnitude, but only continue to give marginal attention to this matter through token legislation and half-hearted scientific dabbling, then the handwriting on the wall spells our doom. The momentum of “peak oil” continues to drive fuel prices upward, fomenting international unrest which risks creating the kind of Armageddon scenario warned of in the Bible and promoted in pop culture: weapons of mass destruction begin to be unleashed by nations panicking when the traditional energy supplies are choked off. None of this need happen, if the alternatives are developed with all speed, says Bearden. Intended to be legally respected in Supreme Courts around the world, these video testimonies are were also designed to be presented to the court of public opinion with the hope that once the general mass of people are awakened to the facts, the grassroots pressure and consumer demand for new energy technology will be unstoppable. Such a groundswell will influence the scientific community to cease politically-driven snubbing, not least because some among them are in favor of this overdue paradigm shift but in the past – due to peer pressure and the threat of blacklisting – they have not been free to speak out. Then the politicians will have to give clean energy the priority status it demands. They will have to put an end to subsidies on oil and old technologies, lest our civilization succumb to implosion. PLEASE SIGN THE PETITION HERE AND JOIN THE GROWING GLOBAL PUBLIC ACTION TO ADDRESS THESE ISSUES. The Panacea media script is aimed to serve as a basic assessment into the relative content.Following this is other essential web archived facts which cover on going suppressions in precise detail. It is Panacea's intent after an extensive 5 years of research to give an essential version to present to the public.Panacea would like the help of any professional independent film documentary maker to help put together our media script material. If you are a faculty, any organisation and or member of the public who feel can aid this project please contact Panacea. Note- If you the engineer ever experience ANY interferance and or suppression please follow these guide lines provided by The peswiki site. And please let us know of your experience and contact Panacea.We can help. You can also help as a member of the public by subscribing to our newsletter to keep watch on engineers involved with us and who report any interference to us. 1. Stay Calm. They arent really from the government, and cannot arrest you, take your property, or audit your taxes. They are about as "official" as your lawn care guy or pool cleaner. 2. Demand Identification. Carefully examine their credentials, and call the local office of whatever agency they are supposed to be from, to verify their authenticity. Find the number for this agency yourself, not one from the business card of the person you're attempting to check out. 3. Defend Yourself. Any property they attempt to take, is illegal theft. Do not permit it, as they have no legitimate authority to do so, and no warrant. 4. Detain Imposters. When their credentials fail to check out, detain them and examine any belongings on their person or in their vehicle. 5. Interrogate. Using any level of force necessary, interrogate them to learn their true employer, objectives, and anything they know about their organization and who is behind it. 6. CALL THE POLICE. Summon the legitimate local law enforcement, and the local news media,simultaneously. Hopefully, they will be arrested on the evening news. 7. Prosecute. Swear out an affidavit for the local U.S. District Attorney, to press federal felony criminal charges for the impersonation of federal agents. See that the same news media cover this follow-up, to encourage the D.A. to push ahead with the case. If they wont, demand to know why. Judicial Watch, a non-profit organisation that goes in to bat for you against government corruption and abuse of power. They have had some spectacular successes. Their website is Judical watch - They can also protect your anonimity.